This lovely soft quilt is super fun. Gorgeous lime green on one side and a cute green and orange star print on the other side. This duvet cover is perfect for decorating a baby´s room / nursery or children's room. 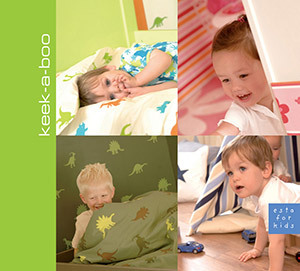 You will find this duvet cover with stars in lime green and orange (154657) the collection Keek-a-boo.